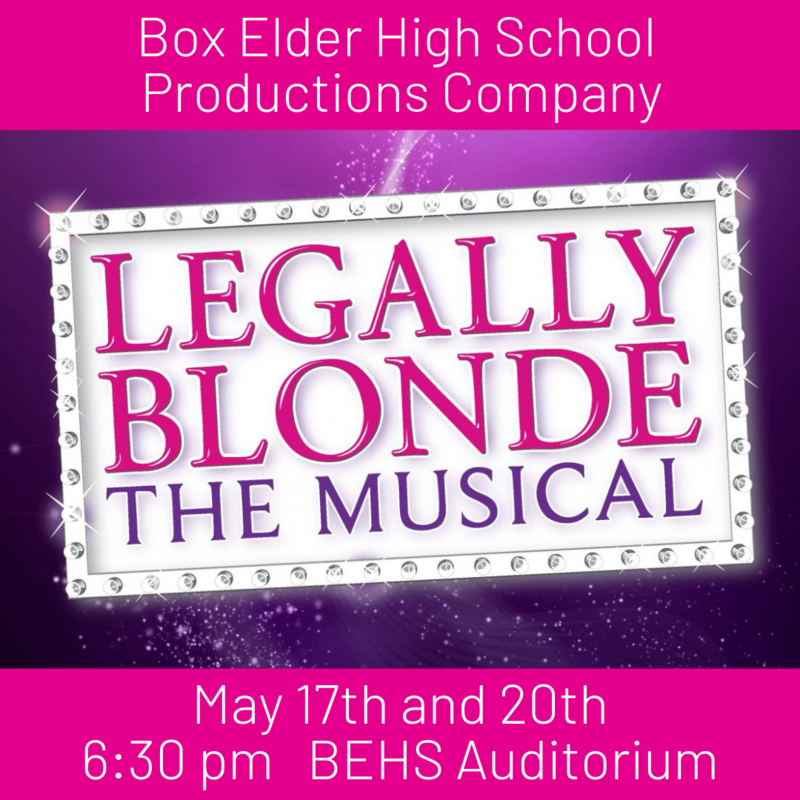 Box Elder High School Productions Company presents their Spring musical, Legally Blonde! The fabulously fun award-winning musical, LEGALLY BLONDE, is pure entertainment! Unwilling to give up against all odds, Elle Woods tackles stereotypes, sexism, snobbery, and scandal in pursuit of her dreams. Including memorable songs and explosive choreography, LEGALLY BLONDE - THE MUSICAL warms the heart by proving that self-discovery can be fun, and a bit hilarious too. Recommeded for ages 8 and up.